We use state-of-the-art Carbon and Nano automotive films to provide customers in West Palm Beach and the surrounding areas with world-class car window tinting. 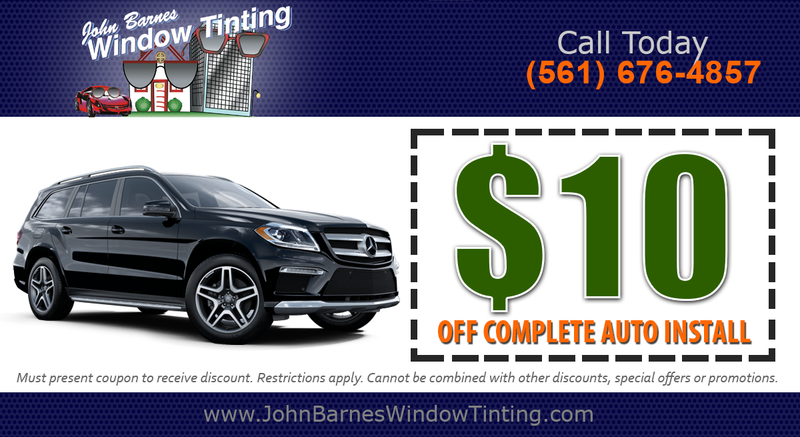 John Barnes Window Tinting can deliver maximum heat nullification, signal reception, and privacy. When you invest in our industry-leading car window tinting in West Palm Beach, you’ll never see any unsightly peeling or bubbling on your vehicle’s windows. Our exemplary craftsmanship is backed by over two decades of experience in tinting thousands of cars, trucks, and SUV’s in West Palm Beach. Our car window tinting service in West Palm Beach and elsewhere in eastern Florida has withstood the test of time for generations of drivers. With our immaculate car window tinting process, you can keep cool in the hot Florida summers. For perfect, risk-free vehicle window tinting on your vehicle in West Palm Beach, Lake Worth, or the surrounding communities, contact John Barnes Window Tinting today and enjoy the precision of custom vehicle window tint. To ensure that every tinting installation is a perfect fit, John Barnes Window Tinting offers precise “custom film cutting” to West Palm Beach and the surrounding communities. There may be other car window tinting companies that only aim to achieve a rough approximation of their clients’ measurement specifications, but John Barnes Window Tinting will never settle for anything less than your exact needs. We take pride in our work, and that means we constantly aim to raise the bar for the best car window tinting in West Palm Beach. 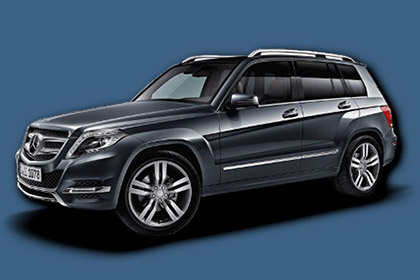 Our tints are as technologically fortified as they are aesthetically appealing. They feature hi-grade heat rejection properties with the ability to block out 99% of U/V rays. Our car window tinting service in West Palm Beach can reduce the sun’s glare, granting you a clear field of vision for maximum safety on the road. You can get all of the substance, style and security of our tinting at some of the most affordable rates in the automotive industry. We’ve upheld these standards for over 25 years, so when you do business with us, you can do so with genuine confidence. We cut our tints for 100% security and style with a nationwide warranty, guaranteeing no bubbling or peeling. Call us at our West Palm Beach location today for a cost-free estimate on your car window tinting needs. We provide a selection of high-performance Carbon films for car window tinting. This durable, non-metal material is optimal for modern car models, which often contain sensitive electronic antenna components in the glass. Carbon tinting is a contemporary safety measure that keeps many drivers secure against electrical heating risks that are rarely talked about. John Barnes Window Tinting never presses metal-based films against window materials charged with the electricity. In addition to giving you a safeguard against electrical hazards, Carbon car window tinting prevents age discoloration. Nano-hybrid carbon construction is one of the latest developments in films for car window tinting, maintaining your tint’s natural, cool shade for years to come. With Carbon car window tinting in West Palm Beach from John Barnes, you can expect maximum heat resistance, infrared light blocking, UV light protection, toughness, and undeniable attractiveness. When you request service from John Barnes Window Tinting in West Palm Beach, inquire about our new Infrared films. Our custom-made Infrared films optimize car window tinting performance without sacrificing road visibility. More than 99% of UV rays are blocked from entering your skin, without breaking up radio, cellular, satellite or GPS signals. Sophisticated solar hear rejection mitigates heat buildup in the car, meaning you don’t need to place a newspaper or other shade in your window to block the hot sun on long road trips. Considered to be the premium, highest quality choice among car window films, infrared is a legal window tinting solution for drivers who need minimum solar interference. John Barnes Window Tinting gives you a lifetime warranty for car window tinting, which means your vehicle’s window film will look cool and keeps you cool for years to come. Call for a free estimate for your car window tinting today!